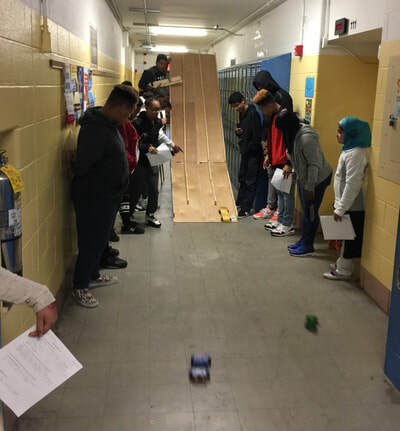 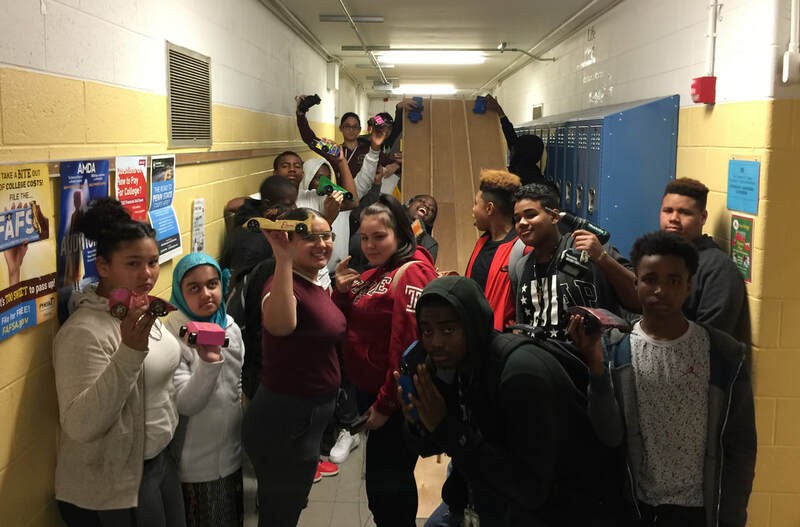 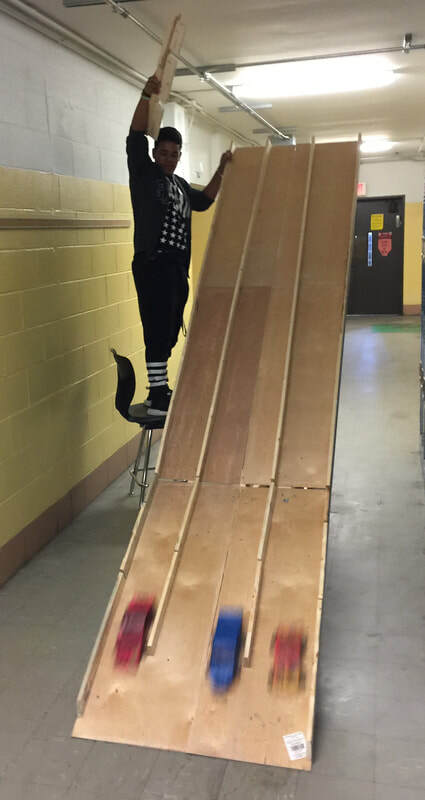 Students in a teacher's STEAM class built cars from scratch to test the ideas of how speed and velocity function in the real world. Working in partnership with Mural Arts, a teacher's class studied velocity, force, and acceleration through the dropping of paint bombs in the court yard. 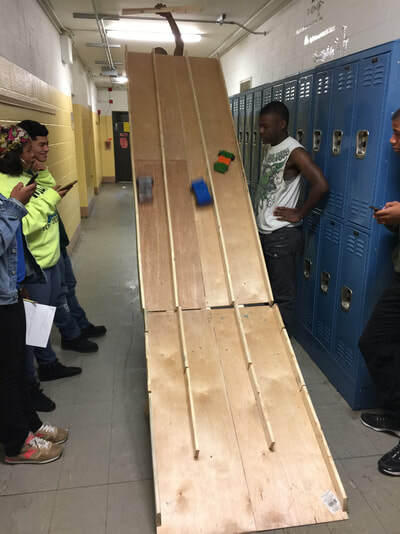 Students were able to calculate was necessary to create the biggest splashes.